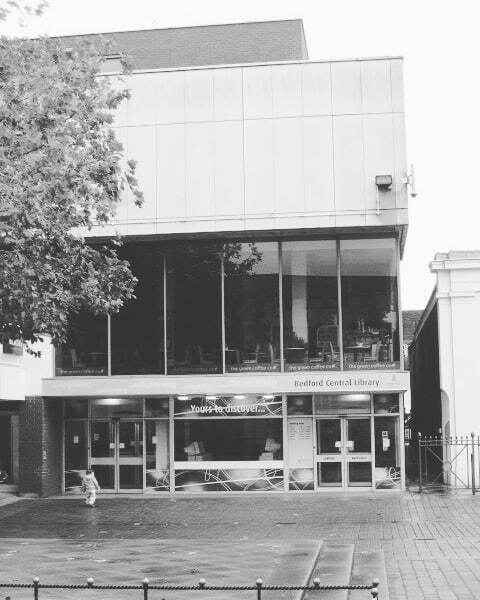 It used to have a cinema room (where we watched Sinbad the Sailor) and an audio library where I borrowed my first Nick Cave tape cassette when I was about 12, so it’s responsible for seminal non-book moments in my life too. And all for pennies. The Lion, the Witch and the Wardrobe - inspired Potter-levels of obsession in me for the series. Aslan taught me that a book can make you upset and angry but still love it. I’m Adopted! - I remember picking this out with trepidation but my mum was totally cool about it. The Trial - obvs it was some years later that I read my first Kafka, thanks to this library. The Faerie Queene - ordered this up for my university reading list. The copy they got me had uncut pages which was easily as exciting as Britomart’s adventures. Because I felt so happy and grounded in this library, whenever I moved to a new place the first thing i did was get my local library card. Thank you, Bedford Central! We loved meeting Frankie and Matilda and coming up with a list of recommended books we thought we’d also share with you here (just click on the image). We also like how we look like we have our own detective agency in this pic. The term ‘personal brand’ has become fashionable among inspirational speakers and entrepreneurs, along with the idea that we should all be blue-skying a new start-up every month and running our own digital empires by the time we’re twenty-five. Why do you need to have a brand if you’re not a toothpaste or a fast-food restaurant? The concept can be taken too far but there is some worth in taking some time to think about what you stand for. If you were asked to name the key values that were most important to you what would you say? In a digital world (unless you go completely off-grid and set up home in a tent of twigs with a tinfoil helmet, which is always an option), we all have some level of public persona – what you say on Twitter, what you post on YouTube, anything a Google search of your name throws up – all of this gives an impression of you to people who might be interested in you – from future employers to prospective dates doing a bit of background research. Margarete Steiff built her own business and brand from the ground up, and both continue today as a testament to an entrepreneuse who passionately pursued the best, both for her own life and fulfilment and for the company she created, despite her difficult position as a disabled woman born in the nineteenth century. Margarete was born in Giengen, the third of four children. When she was just a toddler she caught polio and was seriously ill for a long time. She recovered but her legs were paralysed and her right arm remained weak. This put her at the bottom of the pile in her neighbourhood where most of the jobs involved manual labour and her marriage prospects were unfairly diminished. However Margarete refused to be excluded from fulfilling her potential – her siblings pulled her to school in a cart where she excelled and made many friends, and she later moved on to a wheelchair. It was at school that she first learned needlework, which she took to with that magic mix of dedication and creativity. In 1862 her older sisters opened a tailor where she worked as a seamstress, and in 1874 her father converted a room at their house into a studio for her and she sewed clothes and other items with felt produced by her cousin’s business. She bought and modified a sewing machine so she could use it easily, fitted ramps to her home and began to sell what she made, creating her own financial independence and going on to employ a team of seamstresses. In 1879 the seeds of Margarete’s exceptional success were planted when she spotted a pattern in a magazine for a stuffed toy elephant. Her first iterations of the propitious pachyderm were pincushions made out of leftover scraps but she also made a few to give as a toy to her nieces and nephews, to a delighted response. In 1880 she and her family set up the Steiff company and her brother began selling her elephants at a nearby market. By 1890 business was booming and soon after the first Steiff catalogue was released, with its brand statement of ‘Für Kinder ist nur das Beste gut genug’, advertising stuffed camels, pigs, dogs, cats and giraffes as well as the famous elephant. The Steiffs began to sell the toys all over the country and, far ahead of her time in terms of inclusion, diversity and flexible working, Margarete employed a team of female colleagues, many working from home. When Margarete’s favourite nephew, Richard, joined the company he brought new ideas and in 1902 he came up with the romantically named ‘Bear 55PB’. This was the first teddy bear in the world with moveable arms and legs made of plush, which quickly caught on in the USA and began to be imitated everywhere because of its popularity. To counteract this the Steiff company came up with the idea of attaching a button of authenticity to the ear of all their toys. Even when the company expanded Margarete still put together the samples of new toys so she could check they were good enough. She won the Grand Prix at the World Exhibition in St Louis for her entrepreneurism. In 1907 the company made 1,700,000 toys. In 1909 Margarete contracted a lung infection and died but the company she founded went from strength to strength and continues to sell high-quality stuffed toys today. You might think considering your own reputation and personality – after all, that’s all a brand is - seems a bit cynical and corporate for an individual, but at many points in your life you’ll find it useful to know what’s most important to you: particularly when choosing your career, your partners or your course of action when confronted by tricky emotional problems. Margarete and her company stood for hard work and high quality. So when you’re thinking about what you believe in, and how you want to communicate this, bear the magnificent Margarete in mind and get your personal brand all sewn up. 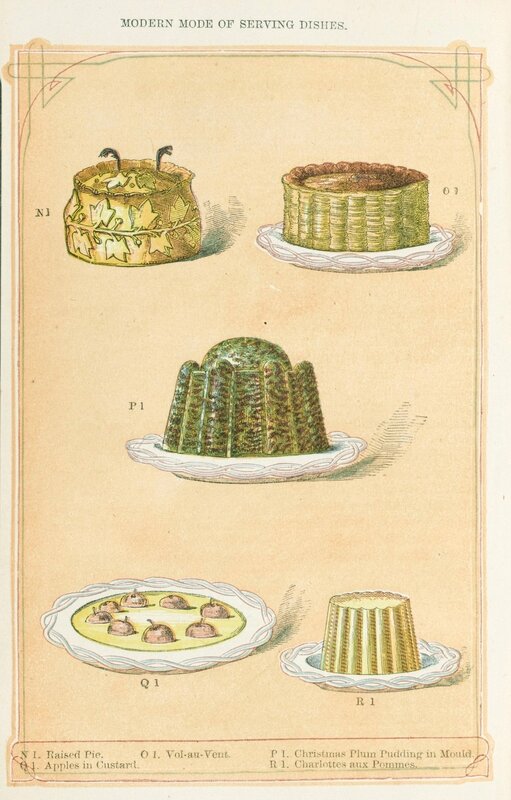 What Would Mrs Beeton Do About Christmas? We were lucky enough to be on Cerys Matthews’ brilliant 6Music show on Sunday, talking about how some of the women in our book might be helpful guides during the potential stress of Christmastime. We covered Mrs Beeton and Queen Victoria’s influence on British Christmas traditions and Betty Ford and Clara Schumann on the trickier subjects of drinking and money. We also talked about the inspiring entrepreneuse Margarete Steiff, who helped make teddy bears into the popular Christmas gift they are today. Margarete doesn’t feature in the UK or US edition of the book, she’s only in the German-language version, so we’ll post her chapter here soon for anyone who’s interested (and can’t read German). You can listen to the whole show here, including Mary Portas’ fascinating thoughts on women in the workplace. (We are about an hour and a half in). The last two months have seen two of the international editions of What Would Boudicca Do? published - in the US and Italy. We learned a lot putting these versions of the book together as we wrote specific chapters on American women for the US edition, and did the same for the Italian publication. In What Would Cleopatra Do? you’ll find the amazing costume designer Edith Head on the subject of Winging It, sharpshooting Annie Oakley on Being Professional, fierce film critic Pauline Kael and Swimming Against the Tide, politician Ann Richards on Shooting from the Hip and the amazing entrepreneur Madam C.J. Walker on Building Your Personal Brand. For Cosa farebbe Frida Kahlo? we covered educator Maria Montessori and Thinking Outside the Box, novelist Elsa Morante and Finding Your Independence, fabulous film star Anna Magnani and Staying Friends With Your Ex, writer Grazia Deledda and Finding Your Own Voice and artist Artemisia Gentilischi and Stepping Out of Your Parents’ Shadow. When we were writing What Would Boudicca Do? we were struck by the way the exceptional women from history in the book were often helped out by the sisterhood. One of the things we learned was that even though heroines like Josephine Baker, George Eliot, Rosalind Franklin and Althea Gibson look like natural winners from our vantage point, they all went through tricky times where it probably didn’t feel that way for them. All of them had key moments where they were helped out by other women. We celebrate a lot of great attributes in the book, which helped these people change the world, but kindness isn’t usually top of the list. So we loved Rebecca Humphries’ recent article in Vogue on the topic - and not least because she was kind enough to mention Boudicca in it. Daunts Chelsea were also kind enough to host our launch party. Note the sartorial dedication of our amazing editor. Boudicca's publication day of 6th Sept is fast approaching so we have some great opportunities to talk about our book coming up in case you're interested in coming to see us at any of them. A lovely extract from the book just ran in You Magazine too. Here's to the designers and production people at Faber for making such a beautiful object out of our book. The pics below will show you the little details that make us very happy. First you can see Boudicca in a state of undress showing the lovely light blue boards and spine embossing, next there's the gorgeous gold head and tail bands, then a shot that shows the punchy embossing on the jacket followed by the bright blue endpapers which contrast really well with the flouro pink jacket. Finally a pic of the inside of the book showing how they've managed to carry off the printing so that the ink from the illustrations doesn't mark the opposite page, which is pretty tricky to do. Impossible to show here is the fact that the paper also smells great. Thanks Faber! We just received a pack of beautiful finished copies of What Would Boudicca Do? and we're over the moon with them. We had some fun lurking in foliage in Pimlico for our author photo. This is what will appear on the book jacket, which has just gone to print. No going back now! Advance Reading Copies are in! We just received the early draft copies of What Would Boudicca Do? which is very exciting. We're very happy with how gorgeous and sceptical Boudicca looks on the cover. We had a great time at the Faber Spring Party last week. What Would Boudicca Do? isn't finished yet but here's a peek at the sampler which was out on the tables.